As the MTA is working on their ambitious project of redesigning the Bronx bus network they have gathered all of their data and have presented us with a detailed 'Existing Conditions Report' on the current state of the bus system which is linked below. The interesting feature of this is that it goes into overwhelming detail with information that is normally not available to riders without a freedom of information request. However, you have to read into the report to see if any possible changes are being suggested by the data and the information overload makes it really difficult to cue into what agenda they may have so read away and try to see if there's anything missing. 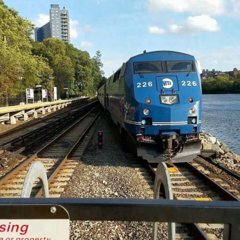 One that we discussed at Christ Church in Riverdale was extending the Bx1 to Henry Hudson Parkway and West 246th street. Since the Bx1 runs artics it could help out the Bx7 at a minimum during rush hours. Those buses are such a waste. Hoard of people waiting for the Bx7 or Bx10 while those artics come by and empty out. They could be put to better use and they would only take maybe 5 minutes more to do that part of the trip. The Bx1used to run to W 246th when I was a kid I remember this setup on select peak Bx1/2 trip into the 1990s. I need to look at the file. However, from what is suggested. This is what I see possibly for approval. Are the Bronx-JFK, and Bronx-Brooklyn routes going to be express?Those destinations are quite a distance from the Bronx. Speaking of Express routes, saying the the said "less flavors of service but greater frequency of service" for the SI express routes, I can see them doing the same for the Bronx. One that i'm thinking is that the might combine the BxM1 and the BxM2 into one 5th/Madison route. They might also get rid of the BxM18 and have some of those BxM1/BxM2 combo buses run to downtown during peak hours. I can also see an off-peak BxM6/BxM10 combo. Some of these are bringing back old routes. Bx21 Astoria to the Bronx. Bx36/40/42 Crosstown isnt that covered? 262nd to Yonkers? Bx9 Extend? From the border into Westchester with one stop in the City seems like a beeline route would have be extended. 233rd to Co-Op makes sense. To me a Mount Vernon route besides the Bx16 would be needed in my opinion. Definitely a Bx9 extend to Yonkers is the essential choice. I don’t know how i feel about a Bx40/42 to 125th??? Technically River Park Towers is enough for me. If it’s to Wash heights. I’d be okay with that. GWB, 168th, 181st & Amsterdam would be essential or potential stops. No way on the BxM1 and BxM2 combo and BxM6 and BxM10 combo. All those lines have some form of reliability issues and combining them would make things worse. What makes Parkchester a bit attractive is direct BxM6 service within the complex and into Unionport Road and East Tremont. The BxM10 doesn’t offer that. I don’t know if this done now. However, back in the NYBS days the BxM10 would make the parkchester stop before heading on the Bruncker. .... Leave all Riverdale express service including the Bxm18 alone. Make necessary modifications. However, no elimination or combination of services. Those proposals came from attendees at the meetings, not NYCT itself. I sure hope nobody at NYCT would propose a Co-op City-to-Brooklyn route. I remember they had a plan for the Bx34 to be extended to Downtown Mount Vernon via S 5th Ave. Are you thinking a similar route?. Im trying to understand were in Yonkers wouldn't this already be covered by the Beeline 1,2 and 3? Are we talking more Central Yonkers? Central Ave? Wasnt thinking that far down in Harlem. Wondering what actually qualifies as a cross-town route the Bx12,40 & 42 are the only routes that I can think of that covers full east to west. 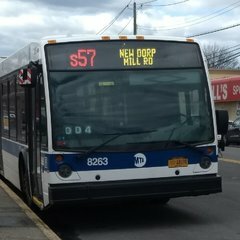 Any route would have to travel south to connect 125th.. the most southerly route for this type of service would be a Bx5/6 combo anything south of that get's cut by the Bronx River. Or even a Bx19/5 combo might work. I wouldn't mind paying $6.75 to go from the Bronx to JFK. Even if you get stuck in rush hour traffic the runtime would be similar to the subway, but with less crowding and much cheaper than taking a cab. It would probably end up running hourly as it builds up demand but I think it can help spur some new ridership. It's not so crazy an idea. It would have to a centralized route that connects with feeder routes. Think the 42nd street LGA,JFK and EWR buses. Maybe from Fordham Plz or Fordham Road and hit every Rail and major bus connects.. No way every major neighborhood can have JFK access. For the Bronx to JFK Route Maybe a route that mirrors the SBS12 from Inwood or University Hts to Pelham Bay then Express via the Bruckner, Whitestone, and Van Wyck to all JFK terminals. Another option could be Fordham to the Bronx River Parkway and via the CBE via Parkchester then Express to Qns. I was thinking about these two routes: Fordham Plaza then nonstop to E 180 St and nonstop from there to JFK, and a separate route from Pelham Bay then nonstop to Flushing and nonstop from there to JFK. The Pelham Bay Route I’d extend to the Co-op City Metro-North station when it opens because the commuter railroad crowd from the suburbs would be more willing to pay the premium to bypass Manhattan to go to the airport. Hopefully if the proposes this enough people will object. The BxM10 on occasion still does the BxM6 BxM10 combo, but it will make say one stop by the complex in Parkchester and then continue on to Morris Park. Happened to me a few years ago. It's no ideal since the BxM6 has enough riders to support a route and the BxM10 has its own issues and crowds. As for the BxM1 and BxM2 that will be a fight should they decide such a thing. For that Yonkers Raceway route, wouldnt they get into trouble since that's replicating W1 and W7? I wouldn’t hold my breath on any of these. If 70% of the network is roughly the same and 30% changes, that isn’t that much in terms of drastic changes. If Bee-line could enter the The Bronx. has every right to enter Westchester. Plus, if i'm not mistaken Bee-line gets some form of revenue streaming from the . Well not exactly. It's not just bee line. Yonkers wants almost nothing of MTA over there. The only route that goes to Yonkers is the BxM3 and I think Yonkers is looking to try to cut that route too. However though MTA cannot operate easily in Westchester, I believe if they operate under some kind of contract for operation in a non-nyc area it wouldn't be an issue. If anything I really doubt this "new route" would be a combination of the 1 and 7. Serving the main transfer hub at Yonkers would make the route too long especially if the main purpose is to serve the casino. At the very least the route would use the 1 route up to Radford Av and follow the 4 via McLean then run via the 20 to the casino. I’ll tell you straight up. I don’t really care too much for 🐝. However, if 🐝 have about 17 bus lines that enter New York City jurdisction (The Bronx) and buses cannot fully enter Westchester. I have a problem with that. Radford cant fit artics in there since the last time an artic tried to go that way it got stuck and blocked traffic. It cant go via McClean because the turn radius is to tight from Broadway NB to Mclean EB.